The Global Call to Action against Poverty (GCAP) is world's largest civil society movement fighting against poverty and inequality, incorporating over 100 affiliated country-level coalitions. It has become a significant global actor and its annual days of mobilisation now attract over 175 million people around the world. This book seeks to explore GCAP's power and its embodiment of emancipatory change. It develops a framework that assesses its external power as an actor by exploring how power works in it, and the relationship between the two. Gabay demonstrates that GCAP, and actors like it, may transcend some of the obstructions they face in navigating and proposing alternatives to dominant codes and practices of neo-liberal globalisation. Thematically, the book explores GCAP's constitutive powers along three axes: hegemony, inclusion and legitimacy. It draws on a wide range of social and political theory, including Liberalism, Anarchism and postcolonial theory and featuring case studies on Malawi and India. 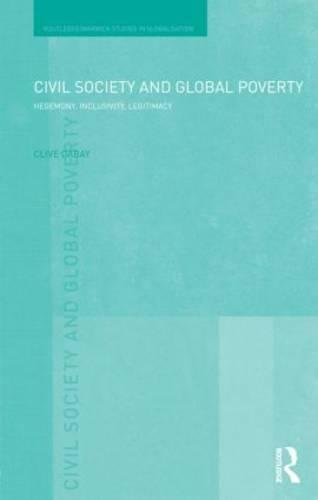 This book will be of interest to students and scholars of international relations, international development, global governance, social movements and civil society.